Born to the nobility and raised in a pious, well-educated family. Priest. Hermit at Arcis-sur-Aube in the Champagne region of France. His life and wisdom caused many conversions. Saint Bernard of Clairvaux composed an Office and several hymns about him. Daughter of Ramon and Vicenta Fornes Montal. Raised in a large and pious family in a small seaside village. Her father died when Paula was 10 years old. She worked as a seamstress and lace-maker, and helped raise her siblings, then helped in her parish to care for other children. At age thirty, still single and devoting herself privately to God, she and her friend Inez Busquets opened a school in Gerona to provide a good education mixed with spiritual guidance. The school was such a success that she was able to found a college in May 1842, and another school in 1846. To staff and manage the schools, she founded the Daughters of Mary (Pious School Sisters; Escolapias) on 2 February 1847, and took the name Paula of Saint Joseph of Calasanz. Paula served as the leader of the congregation, and they received approval from Pope Blessed Pius IX in 1860. These schools have now spread to four continents. Founded the Congregation of Salesian Sisters of the Sacred Heart of Jesus. 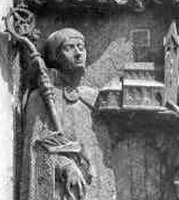 Brother of Blessed Ottokar of Tegernsee. Count of Warngau (in modern Germany). Helped found the Tegernsee Abbey in Bavaria (in modern Germany), and served as its first abbot. 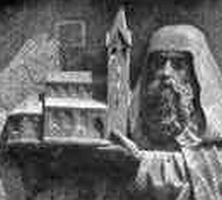 Brother of Blessed Adalbert of Tegernsee. Count of Tegernsee in Bavaria (in modern Germany). Helped found the Tegernsee Abbey, and entered it as a monk. Fourth century bishop of Bologna, Italy during the period of the persecutions of Diocletian. A great administrator, he re-organized the diocese, and fought Arianism. Bishop of Nevers, France from 570 to 594. Raised a pagan. At about 14 years of age, she witnessed a mob abusing Saint Porphyrius for his faith. The violence sickened her, and she came to his rescue, causing enough trouble that the pagans left him alone. He recovered and brought her to Christianity. Bishop of Florence, Italy. So successful at evangelizing his diocese that he eliminated all paganism. 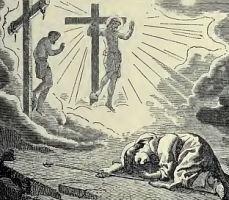 One of a group of 29 Christians martyred together.